Chemical Safety’s EMS Waste module allows users to pre-assign waste drums to a desired manifest so that when the transfer takes place there are no mistakes. This ensures that users can see if the waste drums that need to be in a manifest, are in the manifest. When creating a new drum, just select the desired manifest in the Pre-Assign Manifest: search bar which is located to the top right in the Full Form view of the Waste Drum form (see image below). 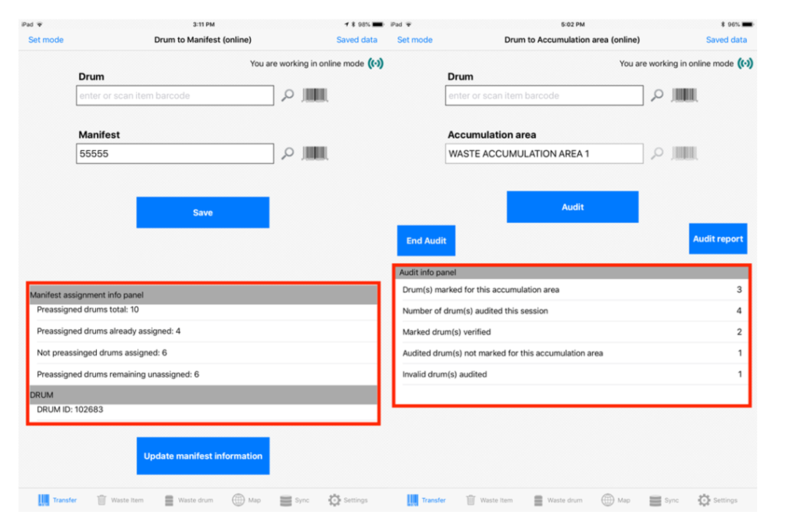 Once the preassigned waste drums are ready to be transferred to a manifest, just scan the barcode labels of the drums using the EMS.Waste Mobile Application and transfer them to their preassigned manifest. 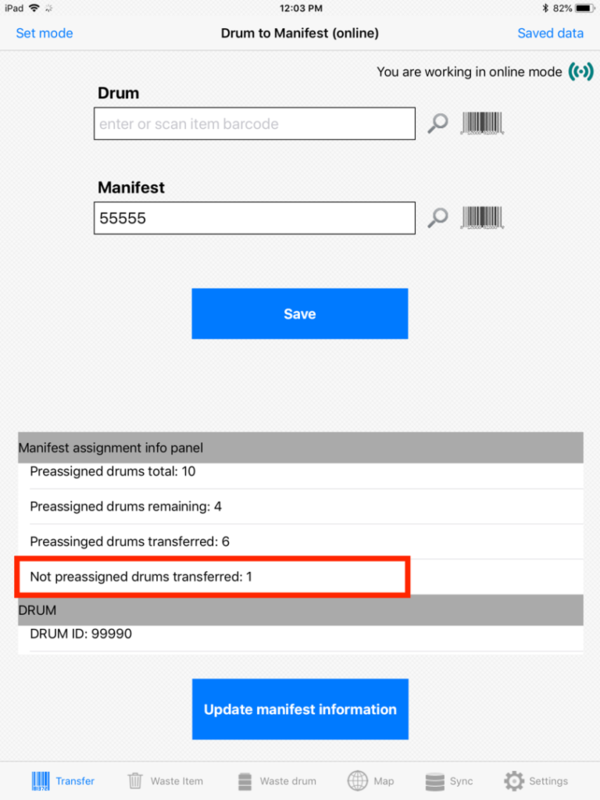 The EMS.Waste Mobile Application allows the user to check the drums that have been transferred to a manifest under the ‘Manifest assignment info panel”. If a user transfers a drum to this manifest that has not been preassigned, then the ‘Manifest assignment info panel’ will display the number of ‘Preassigned drums’ as well as the any ‘Not preassigned drums’ (see image below).